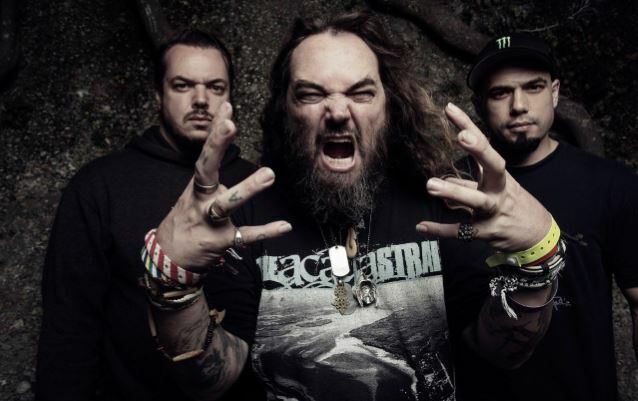 CAVALERA CONSPIRACY, the band led by brothers and founding SEPULTURA members Max (also of SOULFLY) and Igor Cavalera, will release its third album, "Pandemonium", on November 4 (one day earlier internationally) via Napalm Records. 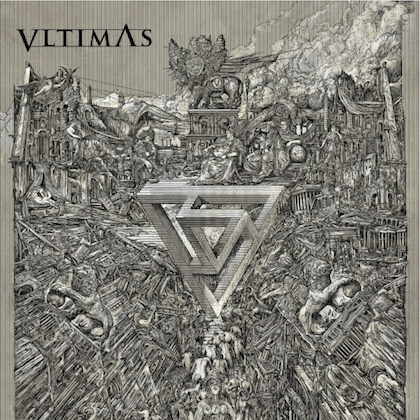 The CD was produced by John Gray, who has previously worked with SOULFLY. Commented Igor Cavalera on the "Pandemonium" artwork: "It is exciting to work with one of the most amazing living artists, who is also one of my best friends. "Stephan Doitschnoff expresses in a beautiful way what is tense and ambiguous and makes people think through images and words. For me, it's the best fit to combine with one of the most exciting pieces of music I have written, which is 'Pandemonium'." A track from the CD, titled "Bonzai Kamakazi", can be streamed using the SoundCloud widget below. 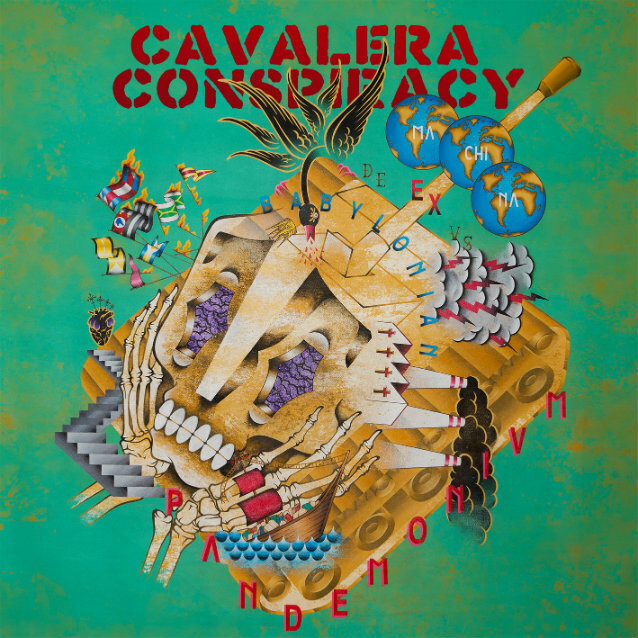 During an appearance on the "Metal Hammer" magazine show on TeamRock Radio, Max stated about the upcoming effort: "It's very, very heavy — the heaviest of all the three [CAVALERA CONSPIRACY albums]. I was really possessed to get Igor back to his 'Arise' [SEPULTURA] era of drumming, everything fast."